No kidding, they're are my new favorite things! 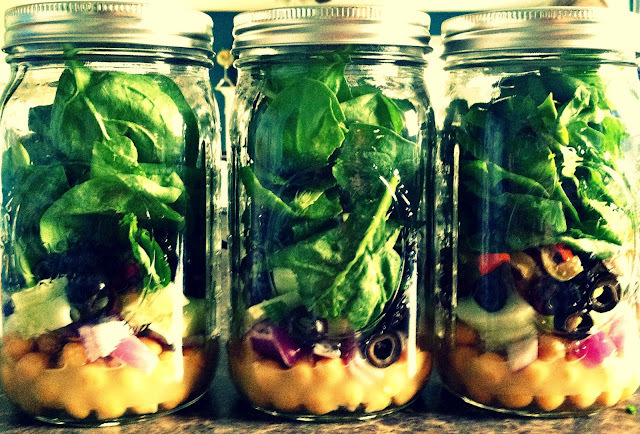 Mason jar + salad = love, right? I made these the other night for dinner for the girls and I. ...and they were delicious! The girls gave them two thumbs up. I can't wait to try them out as lunches this year!